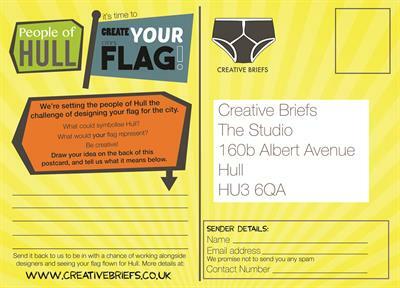 People of Hull, it's time to create your city’s flag with Creative Briefs! The project is all about engaging people in design, and local history through workshops where people will design a flag for Hull in time for the City of Culture 2017. We want to do this; not to replace The Three Crowns or City of Culture Logo, but to allow people to play a part in producing a symbolism of Hull & to show us how they see this rich & diverse city. To begin this project, we want to steam ahead with two trial runs for our workshop sessions. In our engaging workshops we will look at existing logos & flags in Hull, & at city flags around the world. We’ll explore Hull’s past, present & future, spanning 1000 years, to inspire new creative designs for a city flag which symbolise a changing city. Participants could be of any age, ability & attend in groups, individually or with family & friends. ‘The people of Hull’. These trial workshops will run A.M & P.M and will be attended by 60 - 90 individuals to see what the people of Hull can achieve creatively. 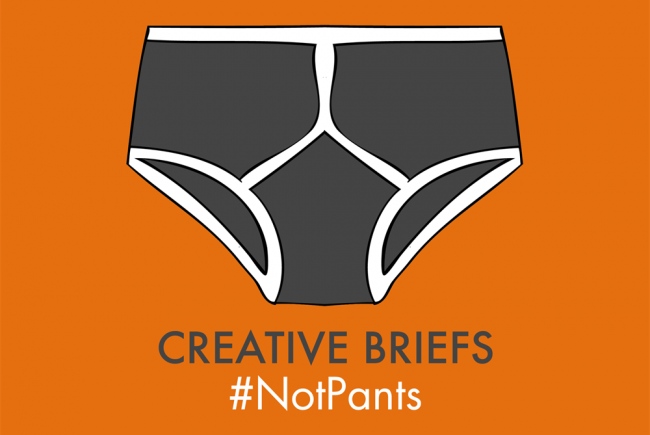 All participants will work through the creative processes we use as professional designers with our guidance. They will use this knowledge to create graphic representations of how they see Hull on our worksheets. Everyone has an opinion on Hull & how it is portrayed. The unveiling of the City of Culture logo started debate across the city, & this was great to see. 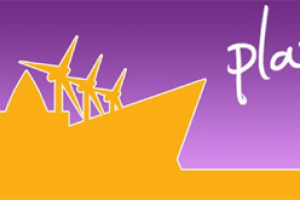 Now is a chance for people to show us how THEY would show Hull to the world graphically. 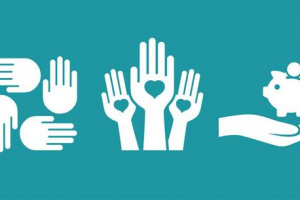 Our vision is for the people of Hull to collectively and continually gain knowledge and inspiration about Hull from a range of sources; including each other, then apply this knowledge creatively through symbolic flag designs, which would be publicised & promoted on social media. Participants can enter their designs individually or in groups & there is no limit on the number of entries. People can enter online with our worksheets, but our workshops at Hull Central Library will expand people's local knowledge & creative confidence. These trial workshops will lead to further long term sessions from which the public will vote on the winning ‘Flag for Hull’, with the winning design being produced & displayed in Hull Central Library in 2017. We have received blessing from the Lord Mayor of Hull to run this project. All of our team are qualified teachers and designers, and have experience of running workshops of this kind. We have confirmed guest speakers to join us, to enlighten and inspire participants. We have interest from clubs and members of the public already. People who are itching to get started on this project! Postcards to be distributed around the city, for people who cannot attend the workshops to still have the opportunity to get involved and play their part in a Flag for Hull. Sessions are run by Jason and Rebecca; award winning designers, business owners and both qualified teachers. They are experienced in all things design, and pass on this knowledge in a fun, relaxed manner. Their knowledge of running creative businesses shows first hand how creative passions or skills can be more than a hobby, and can be carved in to successful careers. 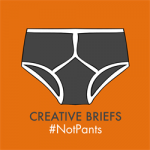 Another key member of the Creative Briefs team is Jim, a student designer, who helps Jason and Rebecca in the planning and delivery of sessions, alongside his design studies. Project Delivery Manager: Jason Bowers The Project Delivery Manager takes legal responsibility for receiving and spending the funds raised and ensuring the project is delivered. Contractors: Ships and Pigs Ltd,Big Jim Designs The team responsible for building or installing the project.